LeBron James has steered the Cavs back from the brink. 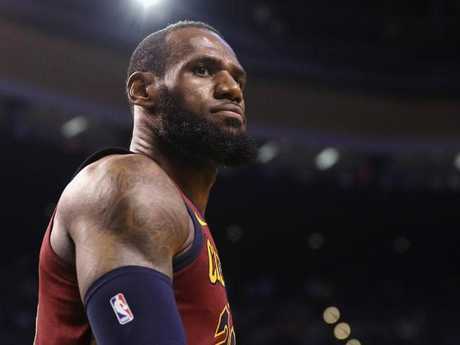 The Cleveland Cavaliers have struck back against Aron Baynes' Boston Celtics with a comprehensive 116-86 victory in Game 3 of the NBA Eastern Conference Finals. The Celtics' Australian big man Baynes had a strong game with seven points, six rebounds and two blocks and was involved in above-the-rim clashes with James - but the American emerged the winner. James rejected Baynes with an impressive block midway through the first quarter when Baynes went for a dunk after receiving a pass in the paint. Baynes flattened Cavs' guard JR Smith in the third quarter when he hit him with his chest. Smith was stunned when he was called for the foul. Baynes also added to his new-found reputation as a three-point shooter with his one attempt successful in the third quarter. But Boston was never in the game. LeBron James was the star in Game 3. James finished with 27 points and 12 assists, Kevin Love added 14 rebounds and the Cavaliers looked like a different team on their home court. 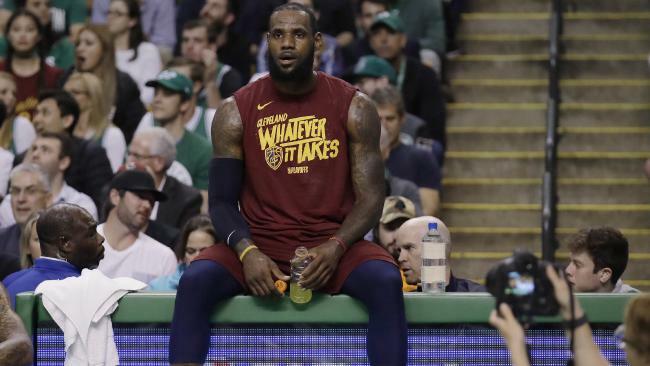 Outplayed during two losses in Boston, the Cavs used a three-day break in the series to regroup and re-grip this series. With James leading the way, they built a 19-point lead in the first quarter, pushed it to 30 in the second half and overpowered the Celtics, who fell to 1-5 on the road in the postseason. Any discussion of Cleveland's demise is premature. Kyle Korver made four of the Cavs' 17 three-pointers and Cleveland had six players in double figures.